The lob has been on the list of top haircuts for years now, and it’s easy to see why. It can be intimidating to go for a big chop, and short haircuts don’t offer many styling options. Long hair can be cumbersome, and during Southern summers, hot. Enter the lob—the happiest medium of all. Technically, a lob is a long bob haircut (hence the name), but they offer more versatility than most haircuts. These celebrities have the best styles out there–and they’re all unique. Gina Rodriguez’s enviable caramel highlights, Kerry Washington’s bold bangs, and Olivia Culpo’s half-up style showcase just a few lob looks we’re obsessing over. 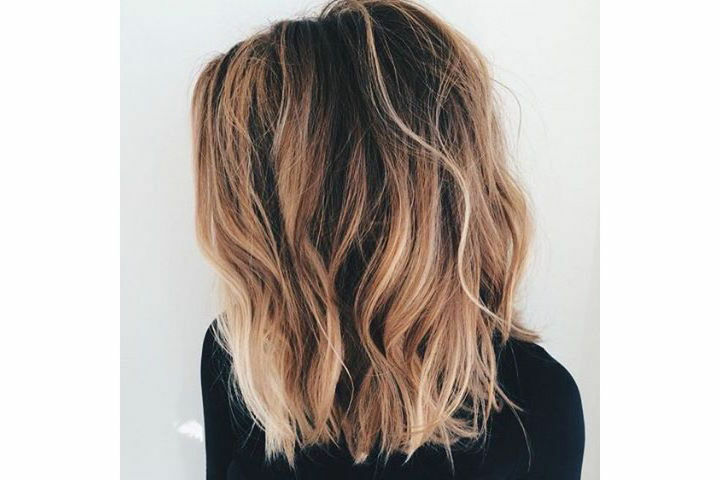 If you’re looking for a new cut or an update for your own lob, this is the best inspiration. The lob has reigned supreme over all haircuts for a while now, and if you haven’t tried it, you’re overdue for a salon appointment. Chrissy Teigen’s face-framing highlights are natural, flattering, and what we’re bringing to the salon to show our colorist exactly what we want this spring. 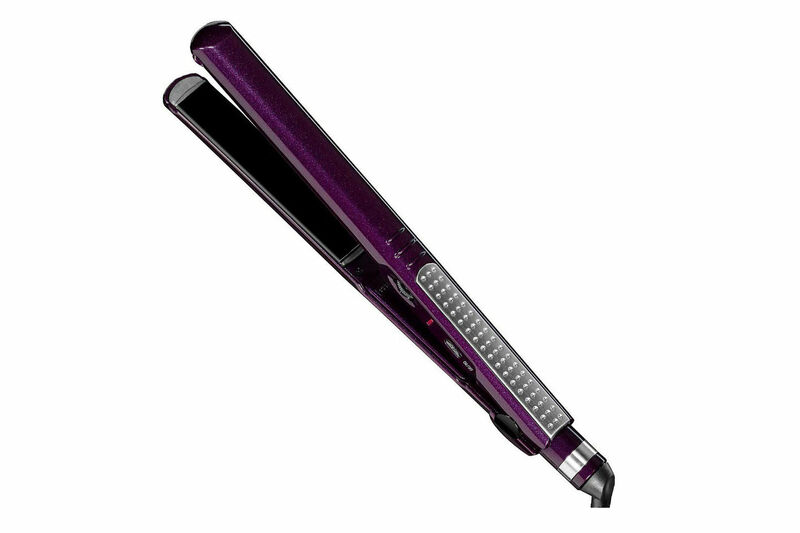 Her lob, soft waves, and seamless highlights are effortlessly pretty. Kerry Washington’s bangs are bold, blunt, and beautiful, and we are here for it. Super sleek bangs and strands make for a fun, modern look. If you’re anxious about cutting straight-across bangs, talk to your stylist about what type of bangs will flatter your face shape most. But if you know you can rock this look, why would you ever stop? Millie Bobby Brown knows the key to creating instant volume is a deep side part. Part your hair further on the usual side or even on the opposite side for drastic volume. Curl your hair in thick curls and pin back the other side for even more glam. Don’t forget hairspray! Although she can rock a boho look better than anyone, Vanessa Hudgens went modern (and fabulous) with this asymmetrical look. A longer-in-the-front style looks sophisticated when worn board straight. Jada Pinkett Smith’s curls exude Old Hollywood glamour, and nothing pairs better with a retro look than a classic red lip. We can confidently say a deep side part with finger curls will forever be in style. 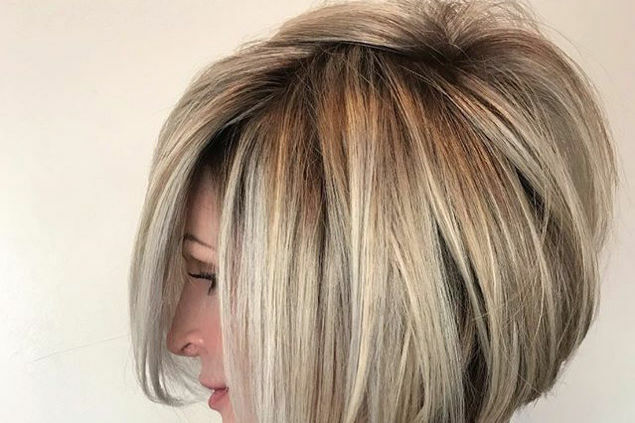 There’s a new shag haircut in town, and it’s flattering on every face shape. Instead of straight across bangs, January Jones’s are swept to either side for a face-framing effect. A cut like this is a great way to ease into bangs if you’ve never had them. Rather than flipping out, Margot Robbie’s glamorous curls flip under at the ends. It might feel unnatural to style an inward curl, rather than a curl that flips away from your face, but she proves it can totally work. Viola Davis’s lob is timeless. The cut is simple and flattering because it hits at the perfect spot between chin and shoulders. With classic beauty, less is more, and this lob doesn’t need a single change. Gina Rodriguez’s highlights are the ideal barely-there color job. 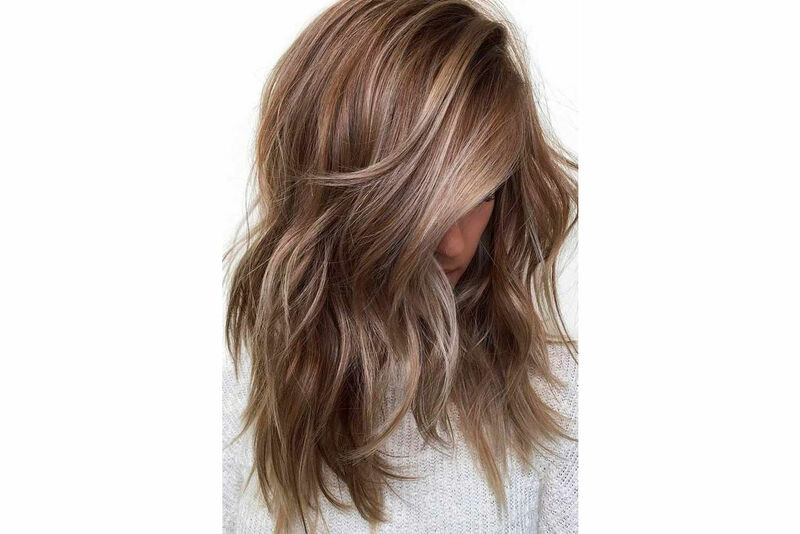 If you have dark hair or have never tried highlights before, this is a great example to start with. She has a few caramel babylights throughout her hair, but the color gets stronger toward the ends of her strands. It looks natural and will grow out well without constant tune-ups at the salon. Jenna Dewan Tatum’s soft curls are the wavy look we all strive for. If we could wake up every day and have our hair look like this, we’d never complain again. Since we don’t wake up with smooth, tousled waves, we’ve got tips for curling your lob with a flat-iron or a curling iron. Emilia Clarke hits the cool-girl nail on the platinum blonde head with her center part, dark roots, and blunt ends. Nothing is more daring than a total chop, and blunt ends look edgy and modern. If you don’t want to go totally platinum like every celebrity did in 2017, you might like the hair color trends in store for 2018. Classic bobs can be too short for updos, so a lob is a great cut if you want to go shorter without giving up that ponytail. Olivia Culpo’s casual half-up look is cute for everyday wear, and it shows the versatility of the lob.